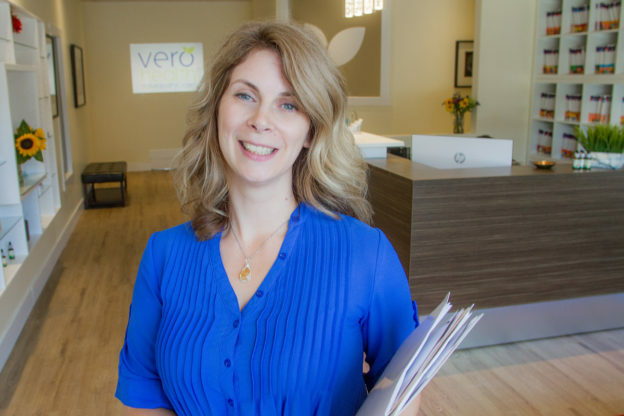 In her own pursuit of balance, Vernon naturopathic doctor Shelby Entner’s clinic recently moved into a cosy, calming new space in a hip corner of downtown. When Dr. Shelby Entner began her practice as a naturopathic doctor in Vernon, the vision she had for her clinic was this: a bright, expansive space that would be a flurry of phones ringing and doors opening and closing as patients walked into the rooms of naturopathic doctors as well as massage therapists, acupuncturists and other alternative health practitioners. After achieving that vision—to the tune of nearly six colleagues operating out of a 4,000-square foot office downtown—Entner has made a dramatic shift. In August, she closed the doors to her 29 Avenue location, walked around the corner, and opened the doors of a new 1,500 square foot space on 29 Street that she shares with just her receptionist, her IV therapist and acupuncturist Ashely Piderman, RAc. “I realized I wanted to simplify things. 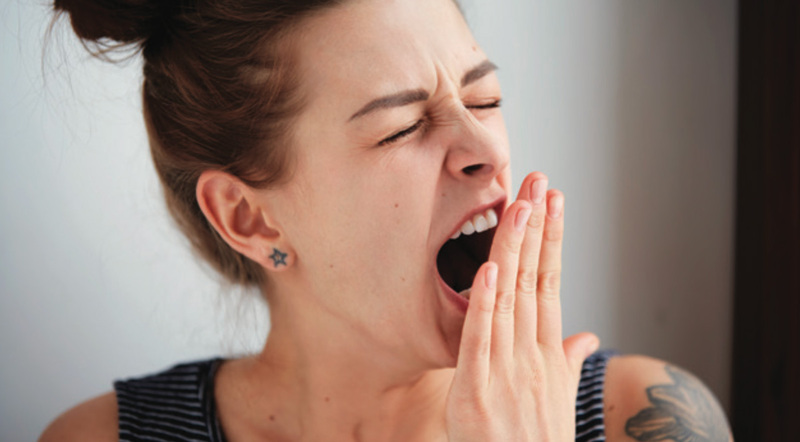 I want to focus on what I do, what I do well, and have more balance in my life,” says Entner, owner of Vero Health Naturopathic Care, who was often returning to her laptop each night after the kids went to bed to handle the administrative tasks that were always waiting for her. Last spring Entner was on her way to the office, and had just driven down 30th Avenue, past the library, when she noticed two units—one a former hair salon and the other a former chiropractor’s clinic— in the O’Callaghan and Bilodeau building had become vacant. She stopped the car and called the landlord. By August, she had enlisted her husband and children to help remodel as she merged the two offices into a single space that felt fresh, contemporary and welcoming. Early on, she enlisted the services of local Feng Shui specialist Samantha Plovie, of Chi Solutions. Even though the new Vero Health clinic is about 2,500 square feet smaller, since opening on Sept. 5, Entner says patients and co-workers alike remark the new space feels bigger, and very calming. With soft yellow walls contrasting dark leather and wood seating as well as thoughtfully placed modern furniture, the space is certainly not your average Vernon office, though Entner says this end of downtown now has a hip, big city vibe to it. “I really like being downtown and this area has a cool, youthful energy,” says Entner,”citing neighbouring cafés, yoga studios, salons and dress shops. Now that the former restaurant across the street has been levelled for a parking lot, Vero Health is also highly visible and accessible. This entry was posted in Whole Body Health on October 13, 2017 by Dr. Shelby Entner.